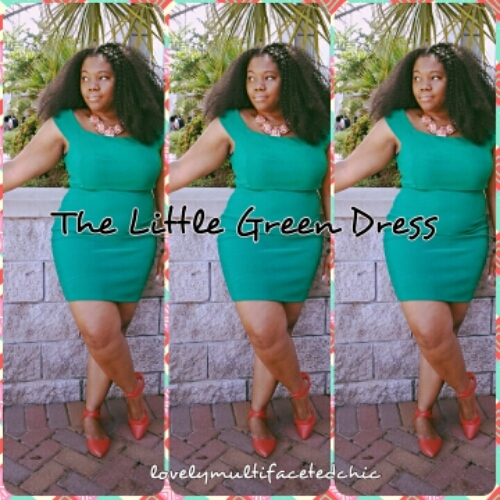 The Little Green Dress – Lovely.Multifaceted.Chic. Happy Friday! 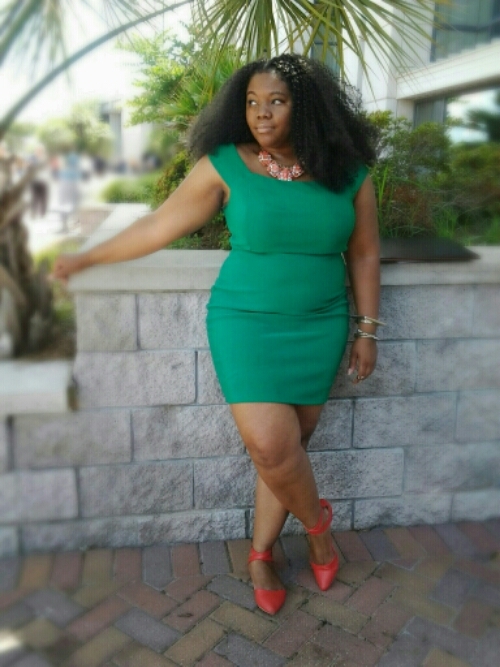 I wanted to share another vacation look. It’s summertime and it’s super hot which for me means not too much black for me. So, I have another option for my little black dress. 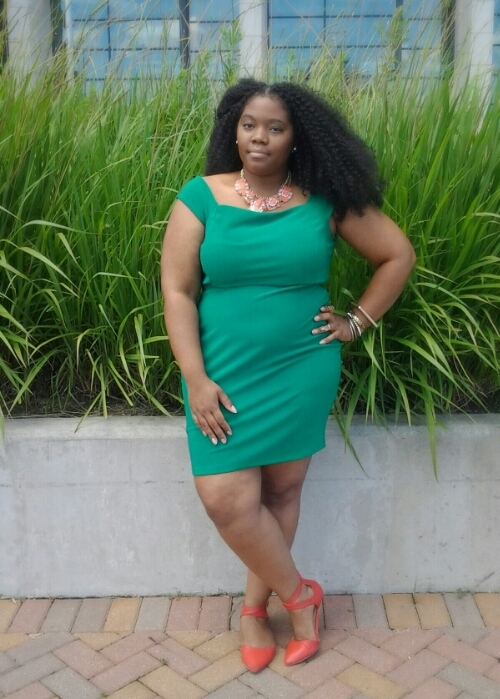 I found this green off the shoulder dress from Forever 21 Plus online for $11.99. I really like off the shoulder garments because of the subtle sexiness. It was super hot and humid in Savannah, Georgia like here in Tennessee. So, I kept my accessories simple. 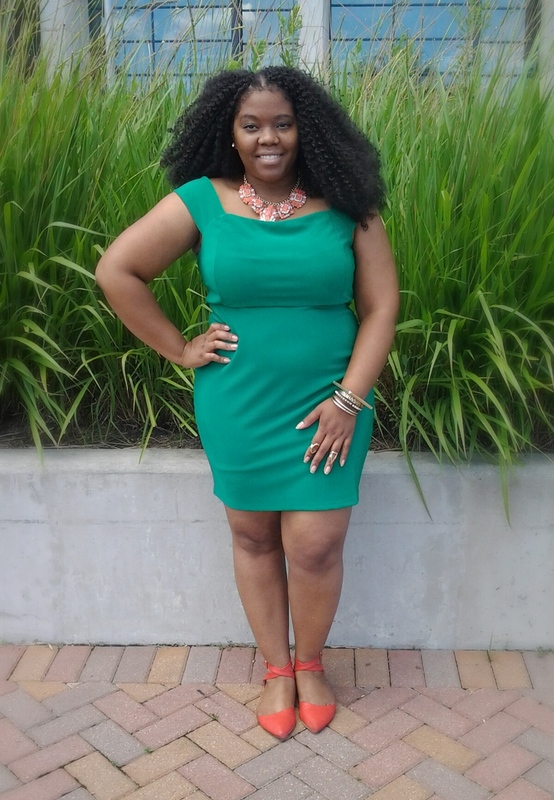 I wore a coral statement necklace from Walmart for $5 and I paired it with my coral colored flats. I wore studded earrings and gold bangles. That green is making me miss the warmer months (get me out of winter already) 😦 It is such a great colour!